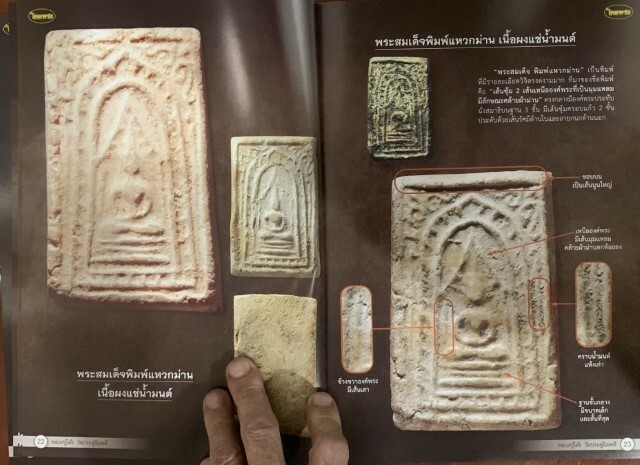 This first edition and now out of print in the same year of release Amulet Book, catalogues 118 Pages of explanatory visual imagery, with focal points of authentic amulet recognition, and explains the aspects and features of authentic amulets, how to recognise and differentiate the various editions and limited series release amulets of the Great master Luang Phu To, of Wat Pradoo Chimplee. 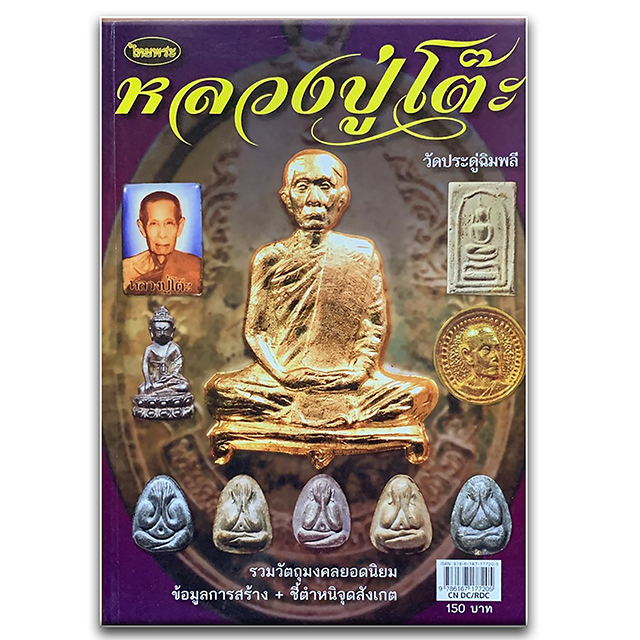 This is a second printing release with addended content, released in 2561 BE,, which also sold out, to become another collector's classic. 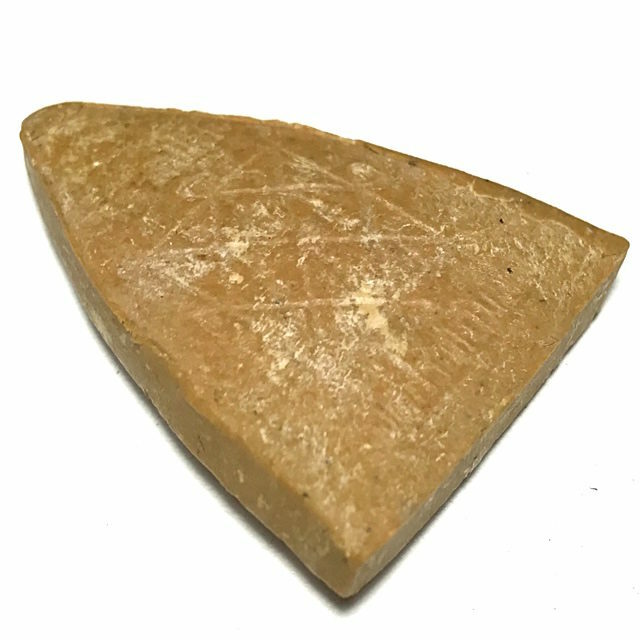 This item weighs 500 Grams packed (half a KG) and has a shipping cost fixed rate of 11$ Worldwide to add to the price. 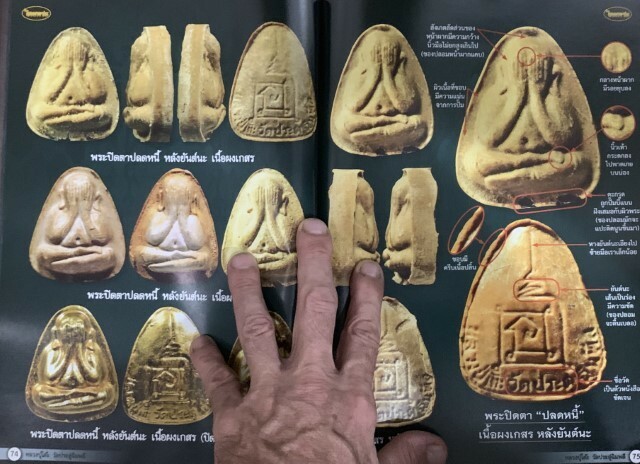 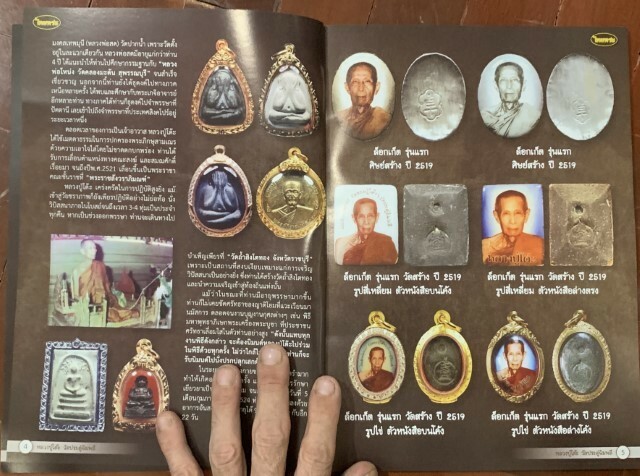 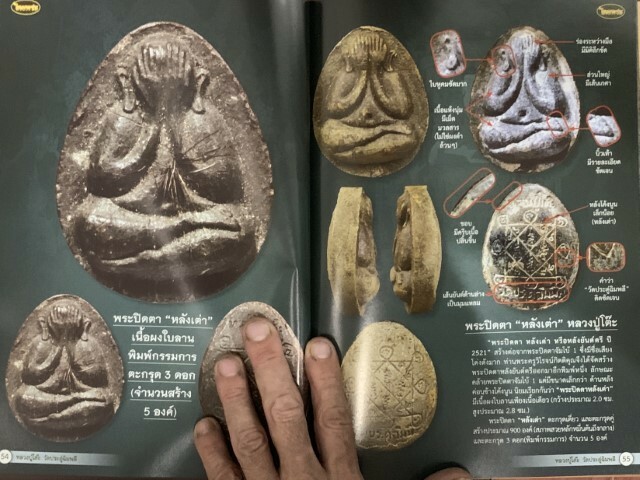 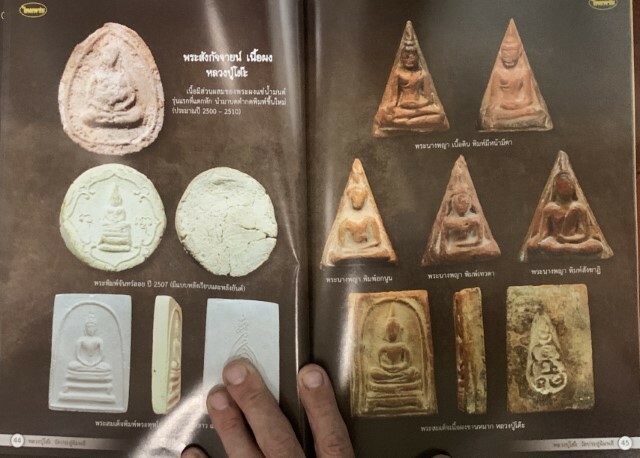 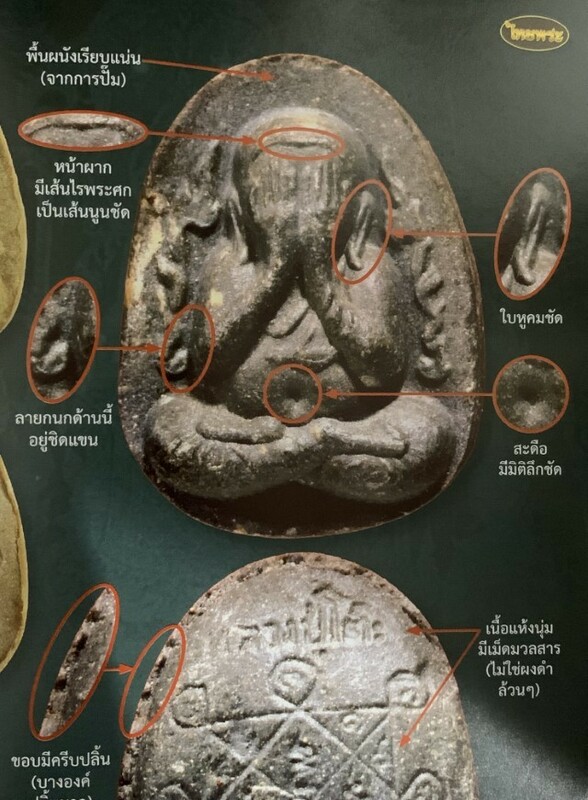 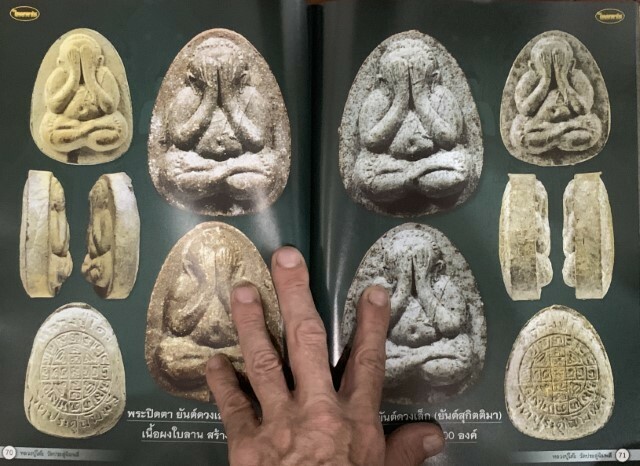 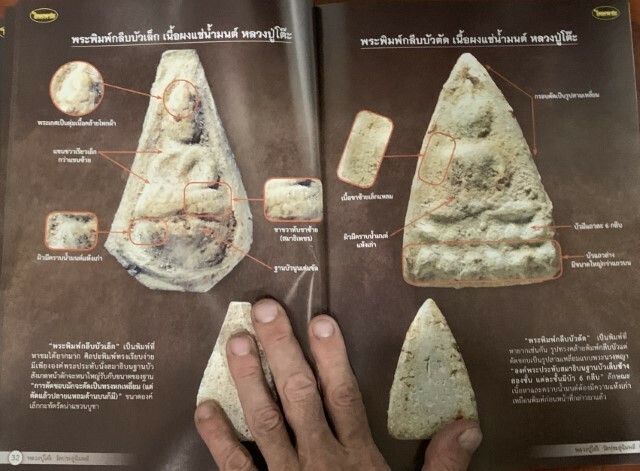 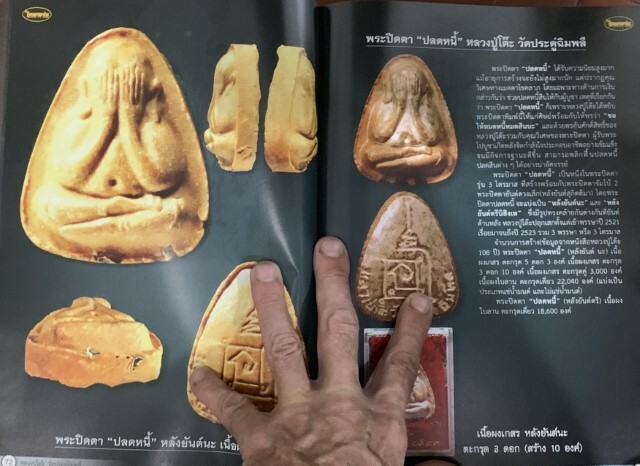 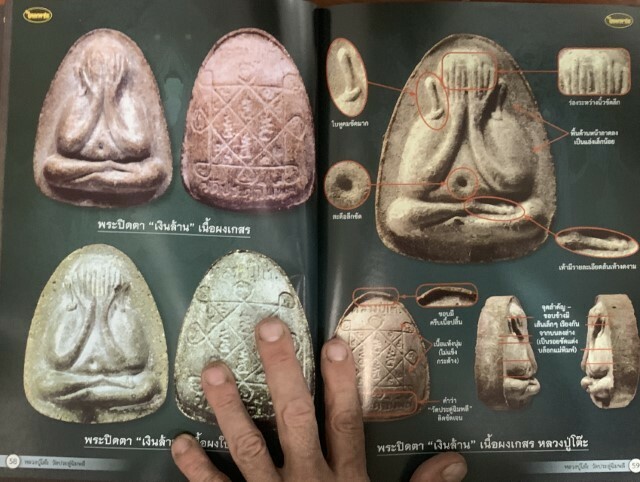 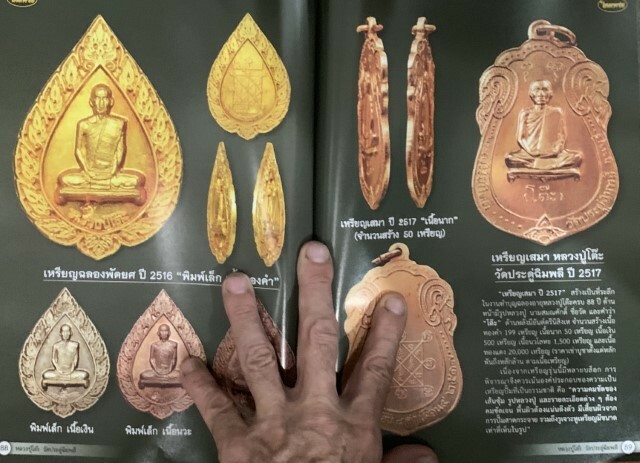 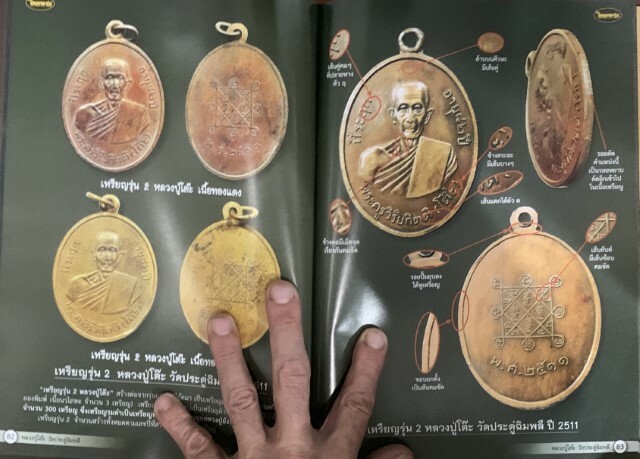 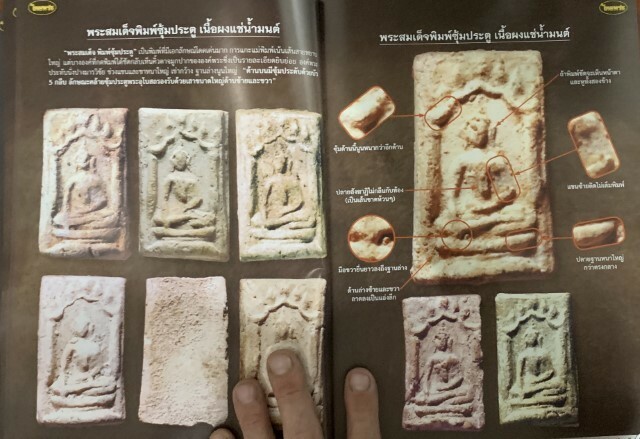 The book contains a vast pantheon of the world famous classics, and other lesser known amulets of this Master, including the great master Class models that are amongst the most well known amulets in both Thailand, and on Foreign Shores. 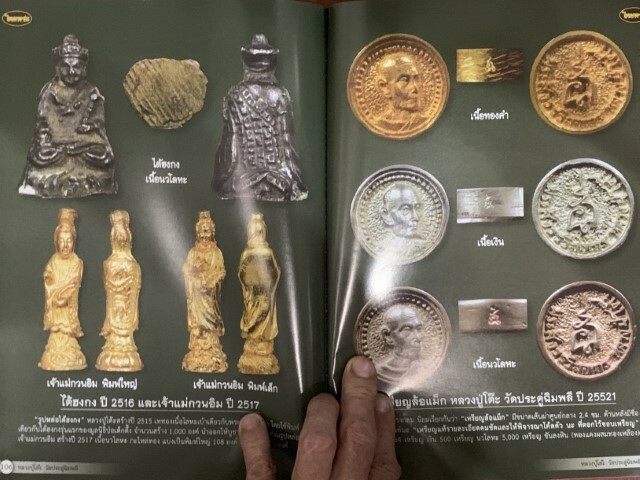 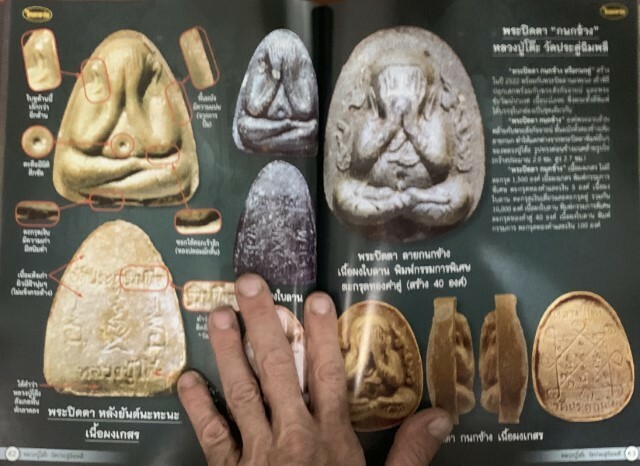 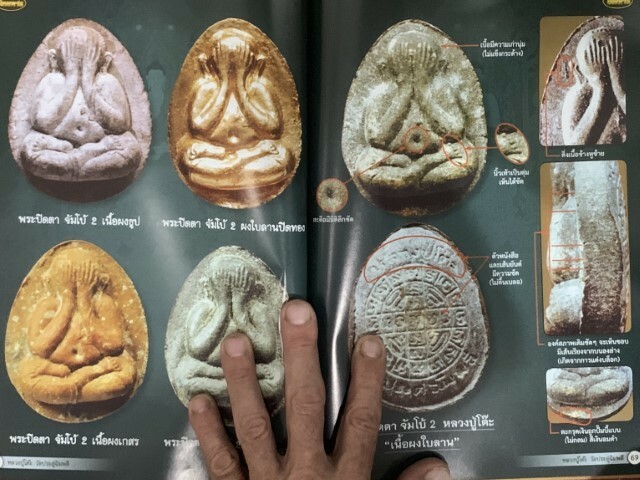 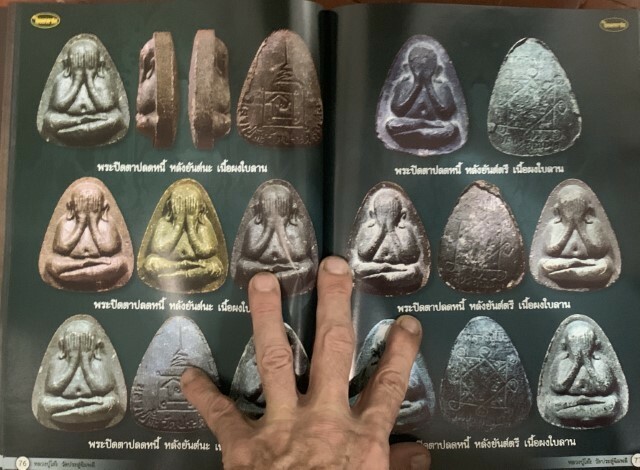 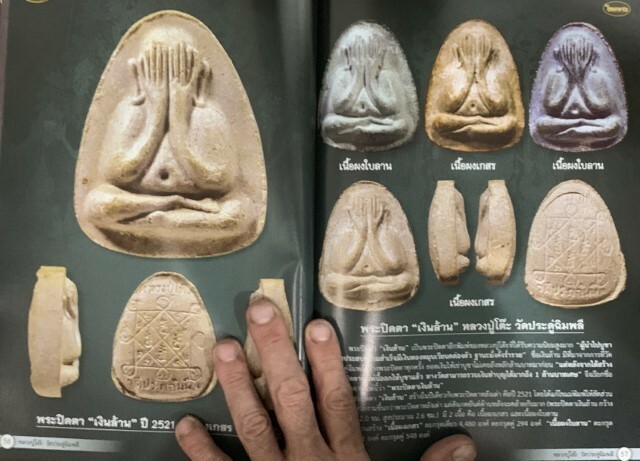 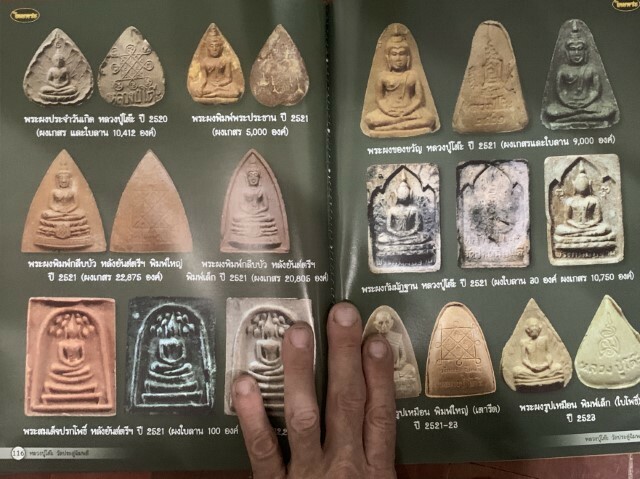 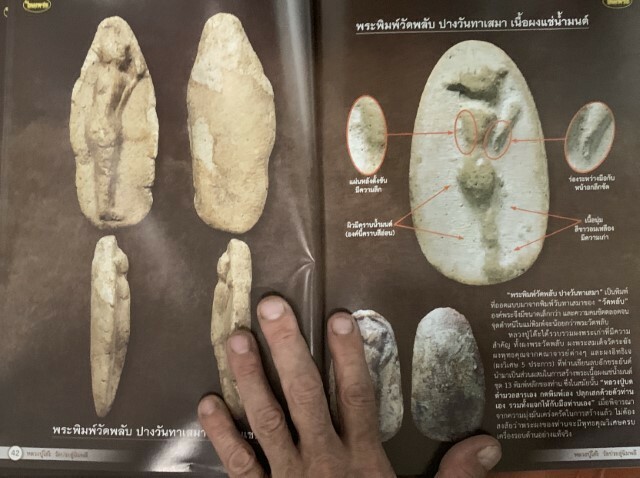 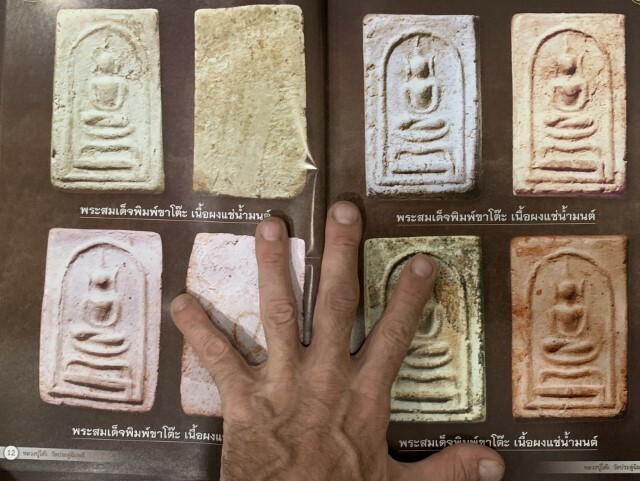 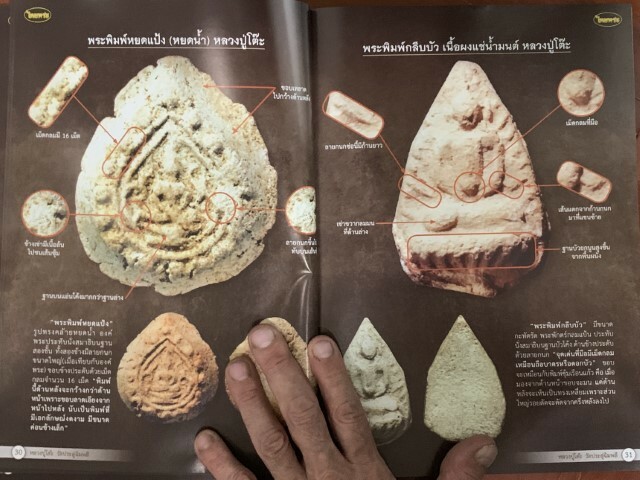 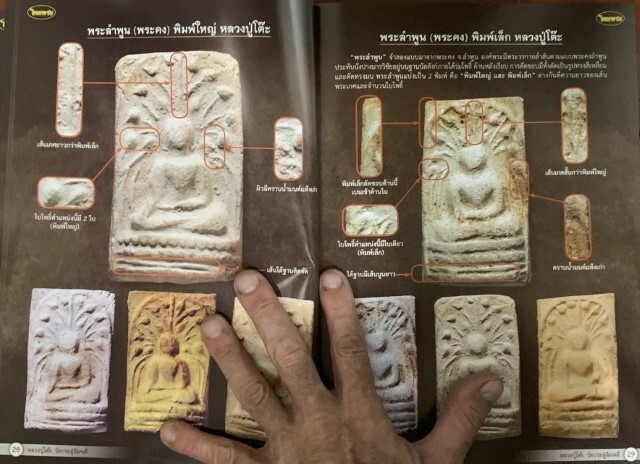 Luang Phu To's pantheon of amulets is vast and complex, and different editions can carry grand differences in popularity, price and preference. 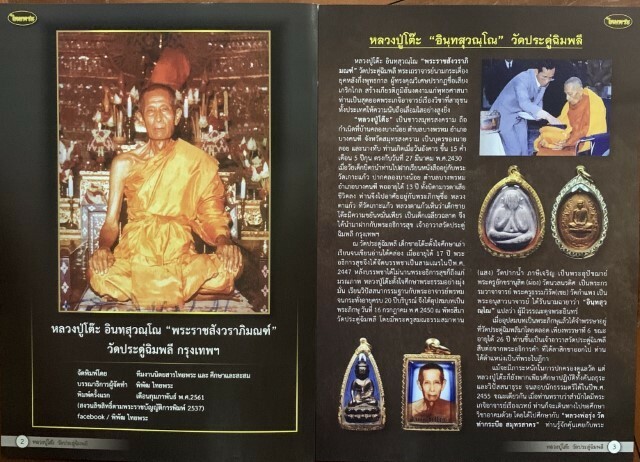 This book should help you to see through the vast compendium of amulets of Luang Phu To and help to increase your knowledge and differentiate the various editions. 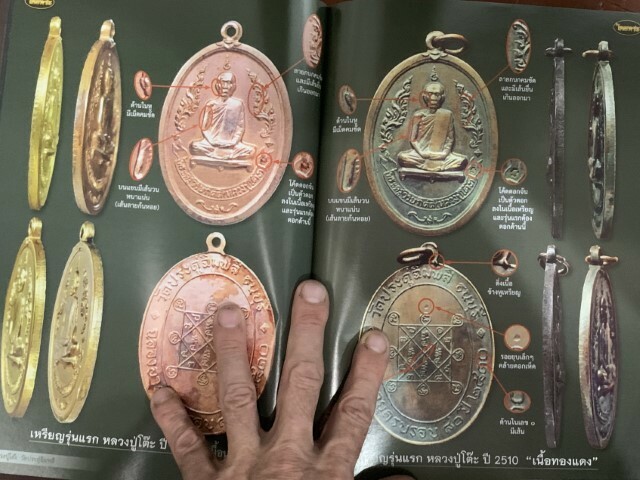 The book contains all of the majore editions, and many important editions of his coin amulets, along with many of his Lockets, Pra Kring, Sacred Powder Amulets such as his Pra Pid Ta, Pra Sangkajjai, Pong Roop Muean, and Pra Somdej, and His Mae Kwan Yin Bodhisattva, and Tai Hong Kong Chinese Monk Loi Ongk metallic statuettes. 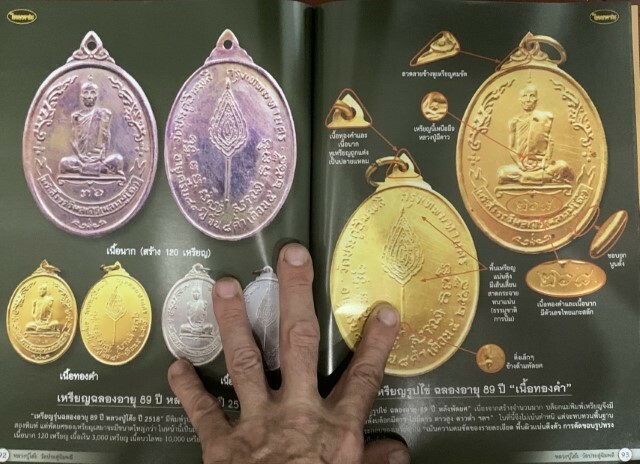 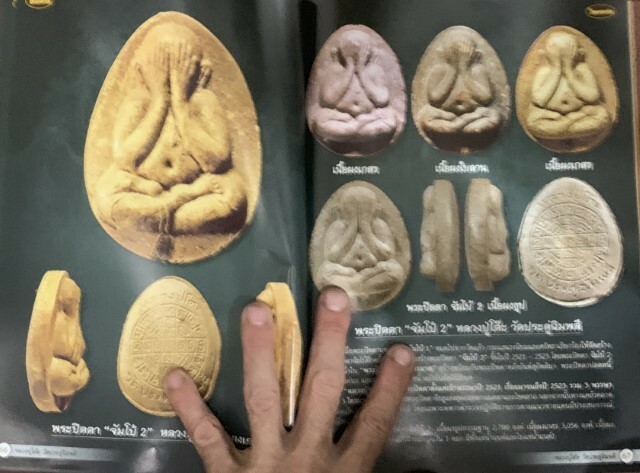 Luang Phu To made many amulets and released them in many temples, it is hence necessary to state that an amulet pantheon book is nbot a comlplete list of all amulets of any Master Monk, rather, is an attempt to document as many as possible of known and accepted proved amulets. 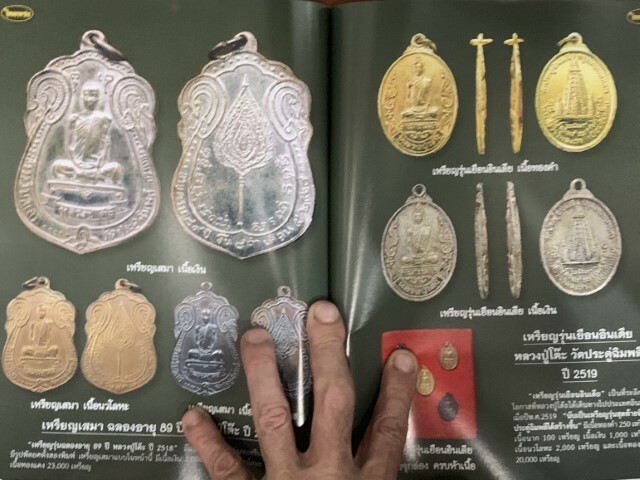 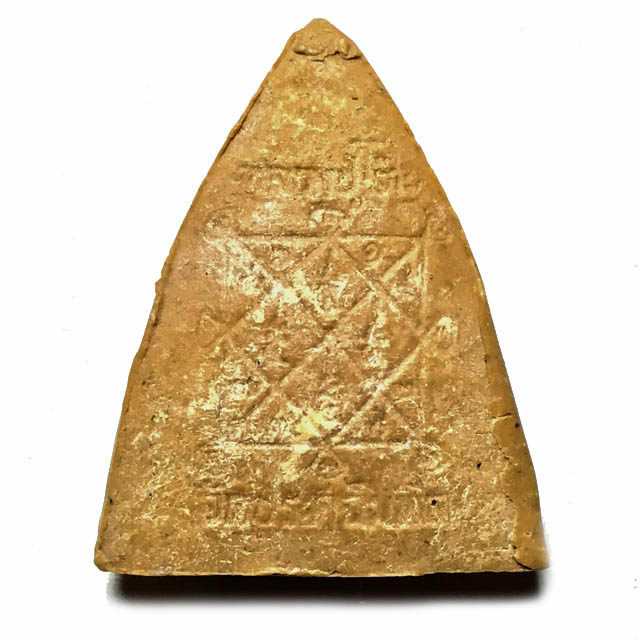 However, the true number of amulets blessed by Masters of this calibre, have never all been documented all within the pages of one single book. 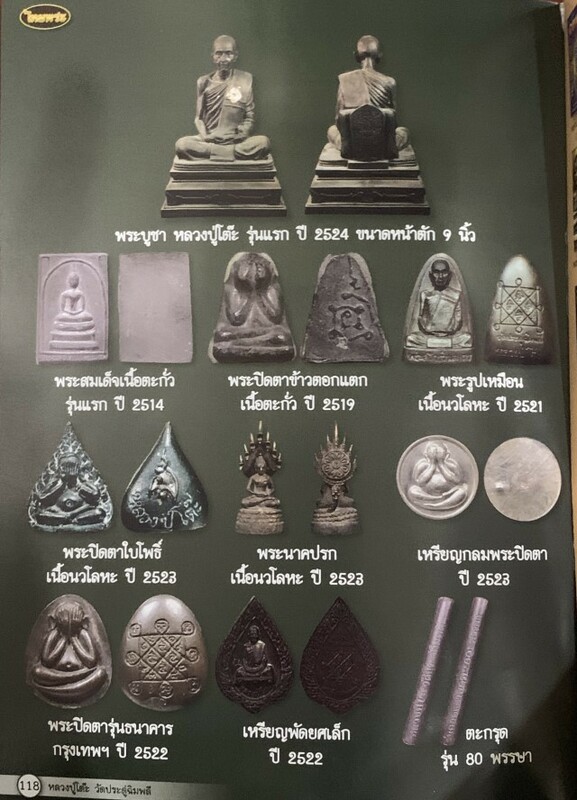 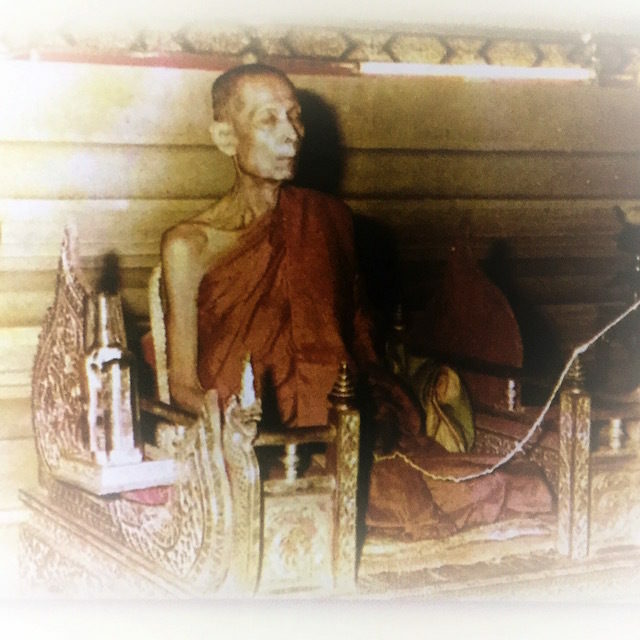 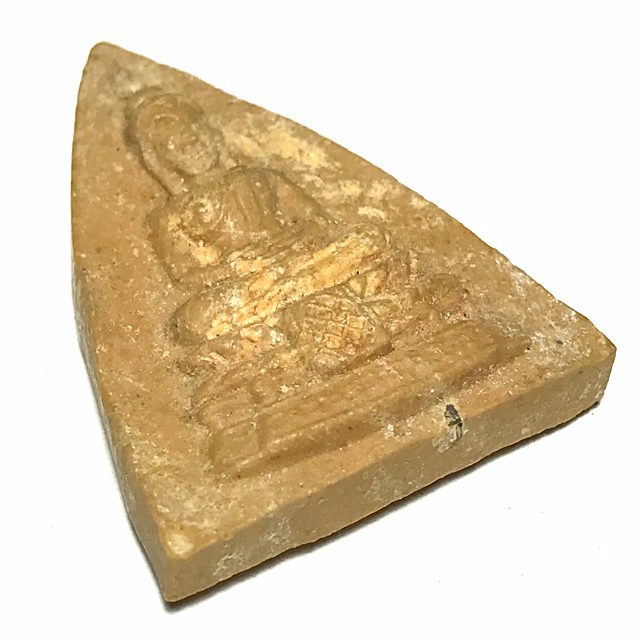 For example, Takrut and other charms from Luang Phu To are not mentioned, as well as other famous editions where he collaborated with another master such as LP Tim of Wat Laharn Rai, or temples where he released amulets in Buddha Abhiseka away from Wat Pradoo Chimplee (for example the editions he made and blessed at Wat Tham Singto Tong, a temple which Luang Phu To himself built). 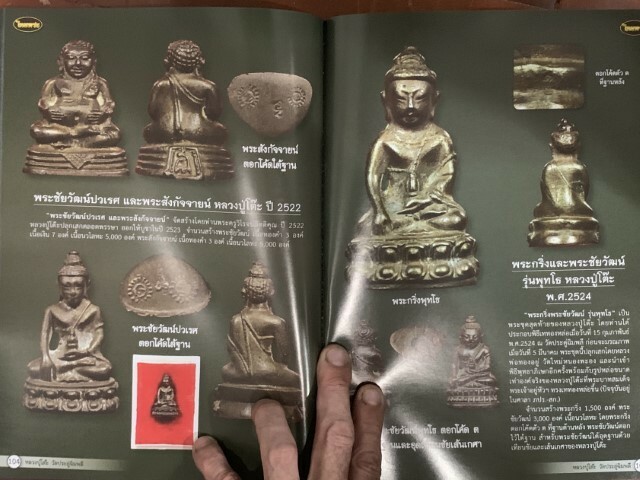 As is typical with such Niche Collectors Items, this book was printed in small numbers, and originally released at only 150 Baht (5$). 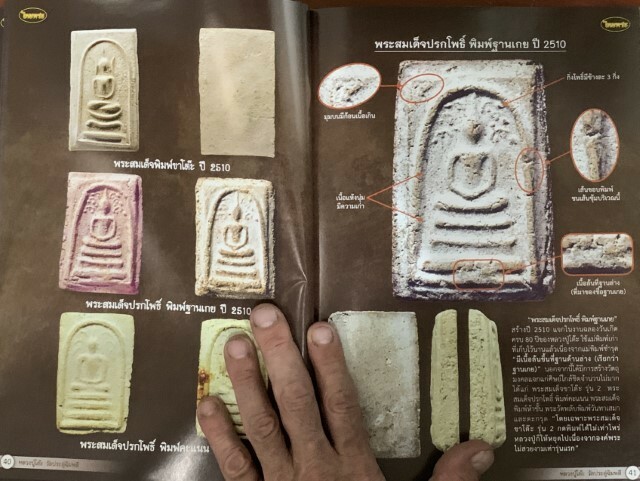 The book sold out almost immediately after the edition was published. 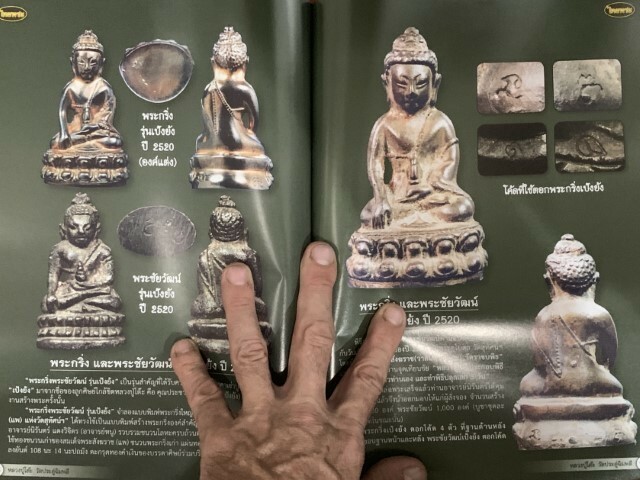 The book was so extensive in its visual content, that it has become a very highly prized collector's item and rose in rarity (and price) accordingly, as is common with publications of this type and genre. 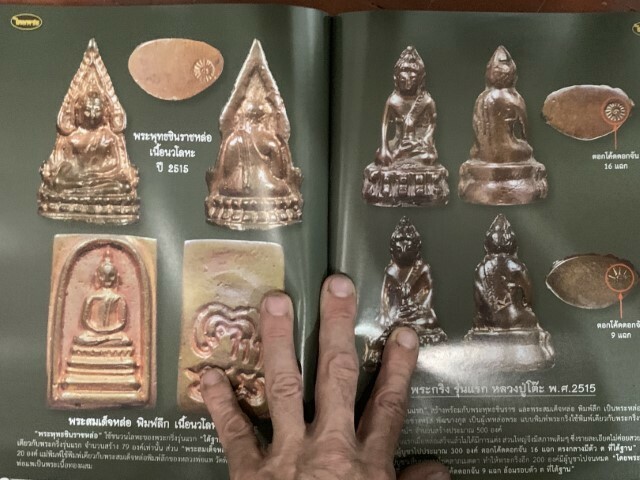 A treasure House of Visual Comparative Information for the serious student and true aficionado devotee of Thai Buddhist Amulets. 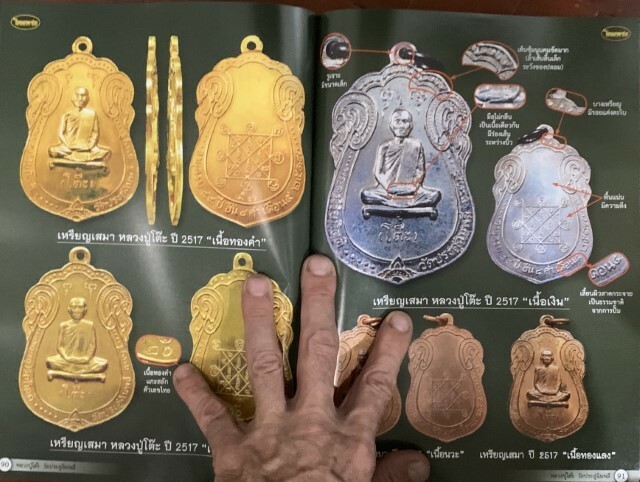 Anybody who knows these amulets, knows that one study up properly and should grab them while you can, and that one can never regret owning a famous Amulet of Luang Phu To. 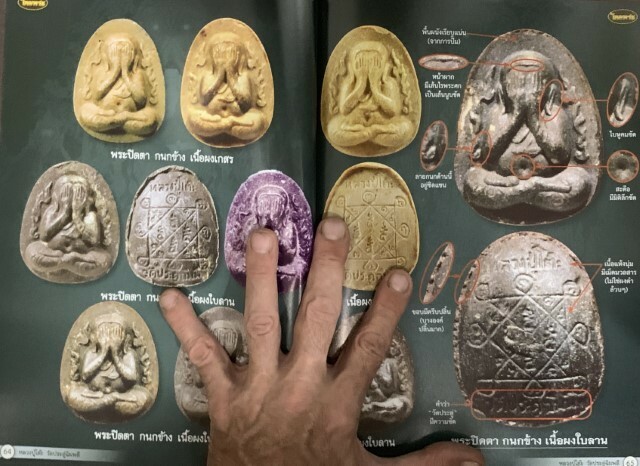 His amulets have become almost impossible to find anymore. 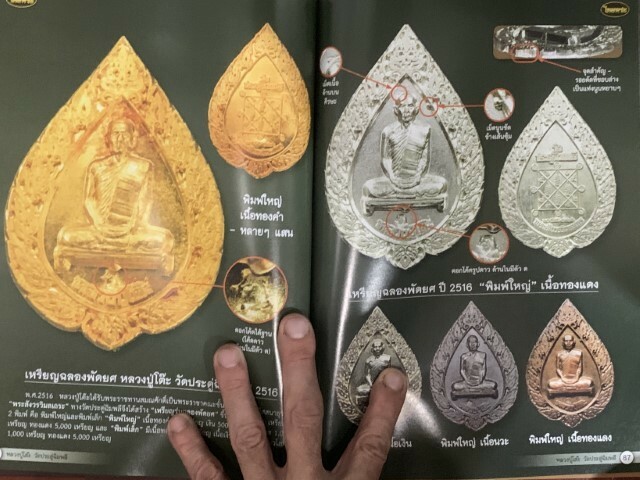 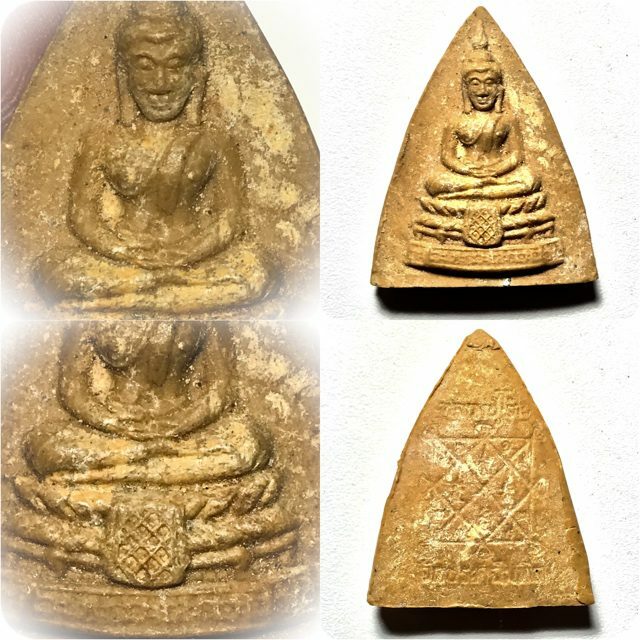 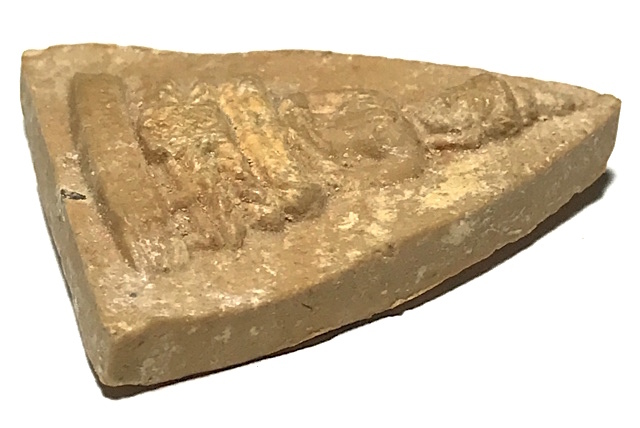 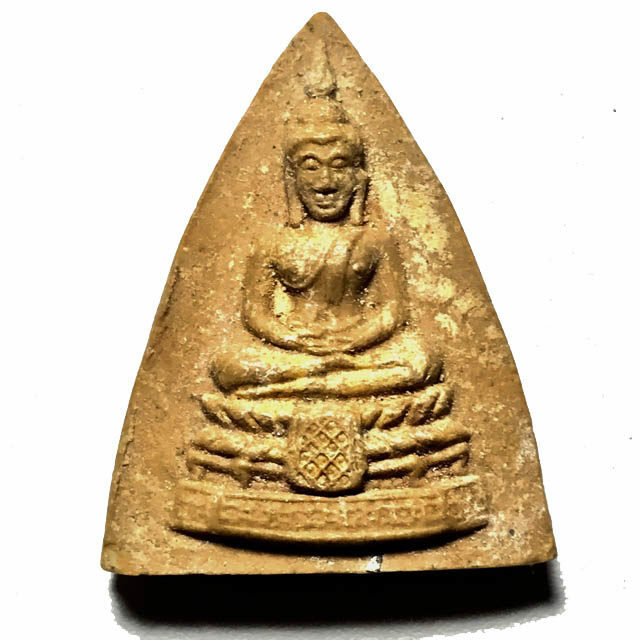 The amulets of Luang Phu To are famous for Protection against all Dangers, Status Increase, Promotion, and Maha Lap Kaa Khaay Power to increase Business success and Proficient Salesmanship and their Power to bring Lucky Fortunes upon the wearer.